One Family was founded in 1972 as Cherish and provides support, information and services to people parenting alone, those sharing parenting of their children, those going through separation; as well as to people experiencing an unplanned or crisis pregnancy. One Family believes in an Ireland where every family is cherished equally, and enjoys the social, financial and legal equality to create their own positive future. Full information on One Family can be found at www.onefamily.ie. One Family works towards the full inclusion and integration of one parent families into the fabric of Irish society. Parenting alone, and sharing parenting in new complex and blended family forms, is an increasing and emergent social reality. Many parents will parent alone through the course of their lives, either temporarily or permanently. The traditional ‘breadwinner’ model of family life has given rise to most of our social and economic infrastructure and tends to ignore or evade the multiple, on-going demands of lone parenting. The first requirement, therefore, in removing barriers to economic and social inclusion is recognition and acceptance of the realities of diverse and fluctuating forms of family life. Lone parents are a group who experience multiple disadvantage in Irish society and access to education is part of that. One Family welcomes the opportunity to submit to the Joint Committee on Education & Skills and appreciates your interest in this important issue. 3.1 Demographics: one in five children in Ireland live in a one-parent family while one in four families are headed by a lone parent. There were approximately 218,817 lone parents in Ireland in 2016 which is an increase of over 3,500 families since 2011. Almost 90,000 were single; a further 50,496 were widowed, while the remaining 68,378 were separated or divorced. The number of divorced people in Ireland nationally has increased from 87,770 in 2011 to 103,895 in 2016. The vast majority (86.4%) of one-parent families are headed by mothers but many families share parenting of their children. Overall, recent Census data shows there is a steady increase in diverse families in Ireland and this is replicated throughout Europe. have an average net wealth of €30,600 compared to an average figure of €218,700 for all households. Available employment figures indicate that the employment rate of lone parents (aged 15-64) is 58.5%, dispelling any myth that people parenting alone are not working. Youngest child aged 12-17 years, employment rate is 65.6%. Therefore as children get older parents are more available for work, this is directly linked to the childcare needs of children. Lone parent participation in education has decreased by approximately 20% between 2011 and 2016. The reasons for this trend can be complex and varied, but One Family consistently hear from parents that barriers to accessing education are significant. A parent’s availability for education may also be inferred from their availability for employment as above. Both situations share many similarities in that the time and work needed to balance parenting and study/work need to be managed. It is well recognised that the educational levels of parents have direct impact on the lives of their children with the educational level of a mother in particular having a direct impact on the well-being of her child/ren. International research similarly shows that despite the complex interactions between parental social, economic and educational positions and conditions, the educational levels of both parents are a significant influence on the life expectations and outcomes of their children. Education is a gateway to more sustainable, quality employment which lifts lone parents out of poverty in the longer term. Educational access enables engagement with society generally, to shared customs, beliefs and behaviours, to marketable skills and professions, and to political engagement. The children of lone parents are entitled to such supports through their parents’ access to mainstream social capital. as far back as 2006, a Government Discussion Paper: Proposals for Supporting Lone Parents, put forward a number of actions to support lone parents. Among these recommendations there was an express objective to “Facilitate participation in employment /education and training in a positive and systematic way” . Twelve years later, in 2017 Maynooth University Independent Review to Identify the Supports and Barriers for Lone Parents in Accessing Higher Education and to Examine Measures to Increase Participation arose from a commitment made in the 2016 Programme from Government. One Family was consulted as part of this review process as a representative stakeholder group. The recommendations of the Review echo One Family’s recent Pre-Budget Submission. The report notes especially that while lone parents have attracted considerable policy attention in welfare, and education and training, with regard to activation measures; much less specific attention has been paid to lone parents in higher education and suggests an urgent need to widen access for these families. The need to improve access to higher and tertiary education has also been highlighted by our colleagues in An Cosán in their recent campaign. The complexity of the current system of supports was also highlighted in the Review, including the inadequate dissemination of information, guidance and awareness-raising to lone parents regarding the ‘bundles’ of supports that are offered by different government departments and agencies. The effectiveness of high-support guidance intervention on well-being, career efficacy and employability factors has been shown in recent research on activation, giving rise to an urgent need to train Intreo case workers in the very complex set of opportunities and barriers facing lone parents . Balancing parenting responsibilities and managing finances with accessing education is a difficult task, especially so for lone parents, who often do so with half the resources and double the responsibility. there are well documented additional challenges for young parents who wish to stay in education as well as older parents who wish to return as mature students. There is no clear pathway of progression for parents who cannot readily move from second level to third level education. the income supports that are in place in Ireland are overly complex to access and at insufficient levels to avoid poverty in many cases. One example is that the age of a child generates a barrier to support. Currently, if a child is over 14 yrs, transfer to BTEA is compulsory when a lone parent has moved onto Jobseekers Allowance. As a result of this forced transfer, access to a SUSI maintenance grant is denied to these parents. Ireland is experiencing a housing crisis with most homeless families being one-parent families. If a family is living in insecure housing they are very unlikely to be able to enter or maintain participation in education. Some financial housing supports are specifically unsupported in conjunction with some educational supports and so access to education depends on housing tenure. This is both unfair and illogical. Such barriers often result from uneven and contradictory systems of support, such as the clash between being in receipt of Rental Support on the one hand, but excluded by virtue of receiving that support on the other – for example the SUSI grant. the challenges for parents in accessing affordable, high quality childcare for their children is well documented. It is extremely difficult to access out of school care as well which may be required for educational participation. single mothers are the most socially isolated people in Ireland and particular efforts must be made to recruit and maintain them in education. Whilst the issue of barriers to education for parents is complex and some structural barriers such as homelessness and childcare require cross-departmental funding and exchequer investment to solve, other issues can be more directly addressed. The reinstatement of the student grant scheme (maintenance grant) for BTEA recipients would create a more equitable, less complicated and targeted approach for supporting lone parents in higher education. The student grant scheme should be available for part-time and online education. The rigidity of how SUSI classifies students as being dependent or independent causes difficulty for people parenting alone who access a different housing tenure and may lead to them losing their grant. Reassessment is only in very restricted circumstances. We recommend that SUSI be available to parents engaging in education, regardless of the age of their youngest child (up to a limit of 18). There are several administrative options in how to achieve this. It is important that that once a lone parent is in receipt of One-Parent Family Payment/ Jobseeker’s Transition and the SUSI maintenance grant has begun that their payment continue until their course is completed. In general, the SUSI grant should be reviewed and the levels increased. The maintenance portion of SUSI education grants only provides a contribution towards the costs of participating in education and ignores the reality of caring for children. Additional funding for lone parents either in the form of cash transfers or in the form of universal scholarships for lone parents within Higher Education Institutions (HEIs) should be provided. The Department of Education’s 1916 Bursary Fund offered 200 bursaries for an overall target group of lone parents, first-time and mature student entrants, students with a disability, Travellers, Further Education Award holders, and ethnic minorities. Whilst this is a welcome start, this is actually a nominal and piecemeal response to the education needs of such a huge group of marginalised people, especially those of lone parents. Given that 25% of Irish families are one-parent families, 80 Bursaries set aside for lone parents appears as a gesture, rather than a systemic action towards genuine recognition and educational inclusion. the complicated nature of the current systems of supports can block access purely on a bureaucratic level. 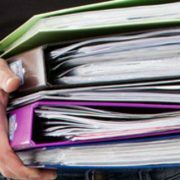 We recommend stronger dissemination of information, guidance, and awareness-raising regarding the ‘bundles’ of supports offered by different government departments and agencies to parents. We also concur with Maynooth University’s recommendation that there is a persistent need for training and awareness for Intreo case-workers who operate frontline services and supports in the Department of Employment Affairs & Social Protection. We are concerned that supports and payments from two government departments interact with each other in a negative way and we strongly recommend that the Department of Education & Science collaborates with the Department of Employment Affairs & Social Protection in order to ensure that parents can access education irrespective of their housing tenure. Taking an education-first approach will result in improved employment rates for one-parent families in the longer term. Jobseeker’s Transition (JST) payment recipients are a distinct group with a specific set of needs. The time spent on JST is a unique opportunity to invest in a package of supports and services to ensure that these parents can access education or employment. Broadening access to JST will also allow parents with older children to enhance their employability through further education and training. These recommendations would remove a number of structural barriers which currently prevent lone parents from accessing education. The provision of specialist bridging programmes such as One Family’s New Futures and New Steps for lone parents, which directly support progression, job-readiness, and incorporate wrap-around parenting and family support services, offer an example of a genuine way into heretofore exclusionary educational institutions. Lone parents are a considerable body of potential students who are systematically excluded, since the requirements for their participation are not being met. The profile and needs of this large student cohort should be integrated explicitly into the ethos of each Higher Education Institutions (HEI). This needs to be visibly stated by colleges and universities, who have the responsibility of welcoming people who are parenting alone onto campuses. There is a need to provide lone parents with tutoring that generates both the technical skills and ‘cultural’ competencies required for higher educational engagement. Like other students, they need the tools to succeed. While there are established Access to Higher Education programmes available across the networks of further education colleges, Institutes of Technology and Universities, there is a need to meet the specific needs of students, current and potential, who are lone parents. Allow those in receipt of Rent Supplement to engage in full time education. This would remove a number of structural barriers which currently prevent lone parents from accessing education. Address the anomaly by which lone parents in receipt of Rent Supplement cannot receive their One-Parent Family Payment or Jobseeker’s Transition Payment and the SUSI maintenance grant on taking up an education or training course. Ensure all lone parents in receipt of Back to Education Allowance can receive the SUSI maintenance grant to help meet the costs of accessing education. Increase accessibility so that families in every county can access subsidised and affordable childcare, with particular emphasis on access to out-of-school care. Reach the European average of investment in early years education and care so that labour market participation for parents, mothers and lone mothers, can be a reality and their children can benefit from high quality learning. Ireland ranks lowest among 28 EU countries for investment in pre-primary education. Ireland currently invests about 0.1% of GDP, considerably lower than the EU average of 0.8%  Investment is required to address the poor infrastructure of childcare and the crisis in the lack of childcare workers. One Family welcome the launch of Sinn Féin’s proposal paper on the establishment of a statutory Child Maintenance Service. This proposal is an important first step in clearly asserting that the payment of child maintenance is not a discretionary gift, but a legal requirement, and the responsibility of both parents. It is the State’s responsibility to intervene and assert and protect these rights in a systematic and equitable way, whether lone parents are in receipt of financial state supports or not. The proposal is child-poverty focused and highlights that the consistent poverty rate for children in lone parent families is 26.2%, according to SILC 2015 figures. Lone parents face a number of challenges such as unemployment; underemployment and they are often in part-time, low paid precarious work. They also have inadequate access to affordable and accessible childcare. Lone parents face significant barriers in accessing education or full-time employment. Changes to the One-parent Family Payment (OFP introduced in 2012 has exacerbated these issues and challenges. UN CEDAW 2017 Recommendation to Ireland to “Consider establishing a statutory authority and prescribing amounts for child maintenance in order to reduce the burden on women of having to litigate to seek child maintenance orders”. Child maintenance payments can play a pivotal role in reducing consistent poverty. In the UK there has been a 30% reduction in the poverty gap as a result of impact of compliant child maintenance payments. Parental Arrangements – Parents willing to negotiate can avail of advice, support and information in agreeing amount. This option is not available in cases of domestic violence. Direct Pay – Situations where non-custodial parent is willing but agreement cannot be reached. This allows the Child Maintenance Service to calculate an appropriate amount. Once agreed, the payment is then made directly between both parents. Collect & Transfer – This will occur where the non-custodial parent refuses to engage. The Child Maintenance Service will calculate, collect and make payment. This should be an automatic option in case of domestic violence. The service should be free at the point of access. 20% penalty where collect & transfer is needed in order to incentivise payments. Strong enforcement powers which will allow them to take monies directly from all forms of earnings. Fully supported information & advice service established to be accessible to all lone parents. Strong links with Revenue to assist access to property details as well as income. Domestic violence training for all Child Maintenance Service staff. Fast track options should be available. 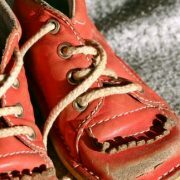 In order to decrease poverty – child maintenance should not be calculated as means with regard to any state supports. In the UK the service costs €230 million per annum for 2 million lone parents. Children living in one-parent families are living in the most socially and financially deprived homes in Ireland. Lone parents have the highest rates of consistent poverty, the lowest disposable income and the highest rates of deprivation. The government has made clear commitments to reduce child poverty and the formation of a Child Maintenance Service provides a clear opportunity for the government to increase household income for lone parents. Current mechanisms available to parents to seek maintenance orders, and their subsequent enforcement, rest with those who are seeking the payment, placing an excessive burden on them. Parents must utilise the family law courts to legally seek and enforce these requests. Many parents find the court process daunting and overwhelming and require, often costly, legal advice in order to fully utilise the family courts system effectively. There is also inconsistency and a lack of transparency regarding how the courts decide how much maintenance should be paid by the non-resident parent. State intervention is needed to better support these families. Some countries, mostly Nordic (Denmark, Norway, Finland, Sweden) and some Central European states (Germany), operate systems of guaranteed maintenance which involves state departments making provisions to ensure children actually receive maintenance consistently even where non-custodial parents are unwilling to pay. Countries such as the United Kingdom, Ireland and United States view child maintenance as a financial obligation on liable relatives governed by family law placing the burden on custodial parents in seeking maintenance arrangements. The affect of these two aforementioned approaches to maintenance governance and provision mean very different outcomes for one-parent families. Children have better outcomes in those countries where a guaranteed state mechanism is in place for the payment of child maintenance. The types of deprivation most commonly experienced by those at risk of poverty were an inability to replace worn out furniture(41.2%), afford a morning/afternoon/evening out (36.0%) and have family/friends over for a meal/drink (32.3%). The types of deprivation most commonly experienced by those living in consistent poverty were an inability to replace worn out furniture(71.7%), afford a morning/afternoon/evening out (63.9%) and have family/friends over for a meal/drink (60.7%). Under half of those living in consistent poverty (48.1%) reported going without heating at some stage in the last 12 months. Indecon- the SILC data reinforces Indecon data- lone parents are living in poverty since the OFP reforms. ESRI- the SILC data supports recent ESRI research which showed that lone parents were the group most affected by poverty and deprivation, and the group with the highest risk of deprivation. Read the full release from CSO here. One Family responds to a new ESRI report which was published today that forms part of the research programme for the Department of Employment Affairs and Social Protection: Poverty Transitions in Ireland: An Analysis of the Central Statistics Office (CSO) Longitudinal Survey on Income and Living Conditions (SILC), 2004-2015. The report uses Irish SILC data from 2004-2015 to examine poverty and deprivation transitions among various social risk groups – groups experiencing an increased risk of poverty due to non-class personal or family factors. The social risk groups included in the analysis are lone parents, people with a disability, young adults, children, working-age adults, and older adults (ESRI, 2017). Lone parents emerge in all the analyses as the group most affected by poverty and deprivation, and the group with the highest risk of deprivation both at a point in time and cross-sectionally. The levels were significantly higher for never-married lone parents (63% for ‘any deprivation’) than for formerly married lone parents (45%). There was a significantly higher rate of both any deprivation (68% vs. 47%) and persistent deprivation (41% vs. 28%) for children of never-married lone parents than for those of formerly married lone parents. This is in keeping with expectations and findings from other research that formerly married lone parents tend to be a more advantaged group in terms of personal resources such as education (Nolan and Watson, 1999). The children of never married lone parents have significantly higher rates than the lone parents themselves, reflecting the higher deprivation rates in larger families of this type. The recession had a greater impact on vulnerable groups such as lone parents because of the barriers they face in labour market participation; their capacity to remain in employment is reduced. Lone parents also have a lower employment rate to begin with and austerity measures disproportionately affect them. Lone parents tend to be more reliant on public services, especially health and housing. Any reduction in services, including increases in waiting periods, disproportionately affects lone parents and is evident in the higher risk of deprivation and poverty. The rate of persistent deprivation was highest for lone parent and their children across this time, with working-age adults affected by disability (and any of their children) the next highest group. Poverty is understood in terms of having a reduced access to material resources to the extent that the person cannot participate in generally valued activities or have an adequate standard of living. Income poverty and basic deprivation are the two core indicators of poverty in Ireland. Income poverty is a relative measure and involves living in a household with disposable income, after adjusting for household size and composition, below 60 per cent of the median. Basic deprivation involves being unable to afford certain basic goods and services, such as adequate food, clothing, heating for the home and basic social participation, such as having an evening out or getting together for a meal or drink with family or friends. It is also a relative measure in that it seeks to capture people’s exclusion from access to the goods and services that people usually have in the society. It does not make sense to speak of ‘poor’ or ‘deprived’ people as if they are a static group. Instead, income poverty and deprivation are consequences of low market power or barriers to market access which must be addressed by policy. There is clearly a lag between the improvement in the economy based on indicators such as the employment rate, and improvements for those affected by poverty and deprivation. Part of this lag is undoubtedly due to factors such as the erosion of resources and accumulation of debt over the recession. It is also evident, however, that the rate of persistent deprivation is still very high for the most vulnerable groups (lone parent families and those affected by disability) in the recovery period up to 2015. This suggests a need for special supports for these groups to enable them to take advantage of the benefits of economic recovery. Lone parenthood and family size are very important in accounting for the higher deprivation rate of children than of adults. Policies that benefit these families will be most effective in narrowing the income poverty gap between children and adults. One Family continues to emphasise the need to take affirmative action to alleviate the disproportionate levels of poverty and deprivation being experienced by lone parents. We again call on Government to carefully consider the recommendations contained in our Pre-Budget Submission and a number of other key reports published over the past 12 months including the Indecon Independent Review of the Amendments to the One-parent Family Payment since January 2012, the Joint Oireachtas Committee on Social Protection report in June on The Position of Lone Parents in Ireland; Maynooth University’s research on the barriers to education for lone parents published in August; and Lone Parents and Activation, What Works and Why: A Review of the International Evidence in the Irish Context, commissioned by the Department of Social Protection and conducted by Dr Michelle Millar and Dr Rosemary Crosse of the UNESCO Child & Family Research Centre in NUI Galway, published last September. Our most vulnerable families should not have to wait for action any longer. The ESRI report can be read/downloaded here. The One Family Policy Service has been focussed on the Budget 2018 announcement in recent weeks. On 10 October the Minister for Finance, Pascal Donohoe outlined a summary of budgetary measures to be implemented during 2018. You can read a summary of the key changes to social welfare entitlements here. The Budget goes a small way towards supporting lone parents and their children, but more is needed to ensure they are supported into education and work, while acknowledging the hard work they are doing raising their children alone. We were particularly disappointed that there were no meaningful provisions in the Budget to improve access to education for lone parents. Education is the key to lifting lone parent families out of long term poverty and deprivation. Read our post Budget press release here. We responded to the release of a report by Indecon Economic Consultants commissioned by Government to examine the impact of austerity measures on one-parent families – ‘Indecon Independent Review of the Amendments to the One-parent Family Payment since January 2012’. There were a number of very concerning findings arising from the report including 43% of parents reporting that their family wellbeing decreased due to the reform and 40% reporting their children’s wellbeing decreased. 63% of the respondents in full-time employment also stated that they cannot afford 3+ items on the deprivation list, meaning that they are most definitely experiencing deprivation daily and in-work poverty. Currently we see parents in precarious, low paid employment and this is not a victory for Government policy, or a signpost to continue unchanged in this direction, as more children in more one-parent families are living in consistent poverty. You can read our full response to this report here. One Family want to ensure that the Census is inclusive of all family types and reflects the diversity of families in Ireland so we made a submission to the Central Statistics Office on the content of the questionnaire for the 2021 Census. We attended a conference marking the five year anniversary of the Children’s Referendum on 10 November 2012 which aimed to strengthen children’s rights in the Irish Constitution. Our CEO, Karen Kiernan, highlighted the importance of constitutional protection for all children and not just for children who live in married families. The results of the Quarterly National Household Survey for Households & Family Units were released by the Central Statistics Office on 19 October. The results revealed the most recent employment statistics for lone parents. While there have been some marginal increases in employment for lone parents, One Family remain concerned about the quality and sustainability of this employment, particularly in light of the findings arising from the Indecon review. You can read our full summary and analysis of the employment figures here. One Family is recruiting for an experienced Social Policy Analyst to deliver a Practice to Policy response in line with our Strategic Plan 2016-2018. 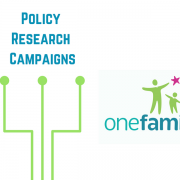 One Family is at the forefront of policy and research on issues relevant to one-parent families, those sharing parenting and families in transition; and associated areas including education, housing, poverty, family law, employment and others. We are regularly invited to participate in and contribute to expert panels at home and internationally. A cover letter and CV addressing the required competencies should be emailed to Karen Kiernan, CEO, One Family at info@onefamily.ie. Closing date for applications is 5pm on Thursday 30 November 2017. First and second round interviews will be held on Tuesday 5 December and Friday 8 December 2017 respectively. The Quarterly National Household Survey released today by the Central Statistics Office (CSO) reveals the most recent employment statistics for the period April-June (Q2) 2017. One Family has analysed the findings in relation to people who are parenting alone. The employment rate of lone parents (aged 15-64) whose youngest child was aged 0 to 5 years was 46.8% (up 0.8% from 46.0%) in Q2 2017 compared to 59.8 % (up 2.6% from 57.2%) where the youngest child was aged 6 to 11, and 65.6% (up 9.2% from 56.4%) where the youngest child was aged 12 to 17. This indicates that, as children get older, the prohibitive costs of childcare are reduced and lone parents are more likely to engage in work. One Family remains acutely concerned about the numbers of lone parents in precarious and low-paid employment, particularly since the reform of the One-Parent Family Payment that has pushed many lone parents into employment that has kept them and their children living in poverty. The Survey on Income and Living Conditions (SILC) 2015 results released in January 2017 showed that 58% (almost three in five) of lone parent households with one or more children experienced enforced deprivation. This compares to 25% of the general population who experienced deprivation. People in lone parent households continue to have the lowest disposable income out of all households with children in the State. The Indecon Independent Review of the Amendments to the One-parent Family Payment since January 2012, released last Monday, showed that 63% of the respondents in full-time employment stated that they cannot afford 3+ items on the deprivation list, meaning that they are most definitely experiencing deprivation daily, and in-work poverty. Further Quarterly National Household Survey information from the CSO is available here.